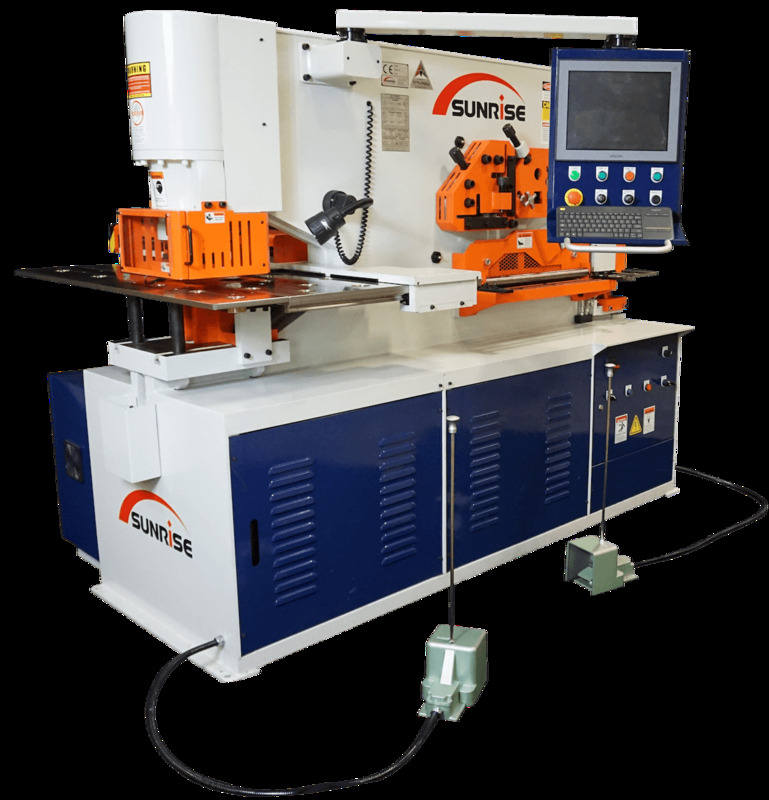 The Semi-Automatic CNC positioning tables from SUNRISE are plate and angle positioning systems with touch-screen interfaces. 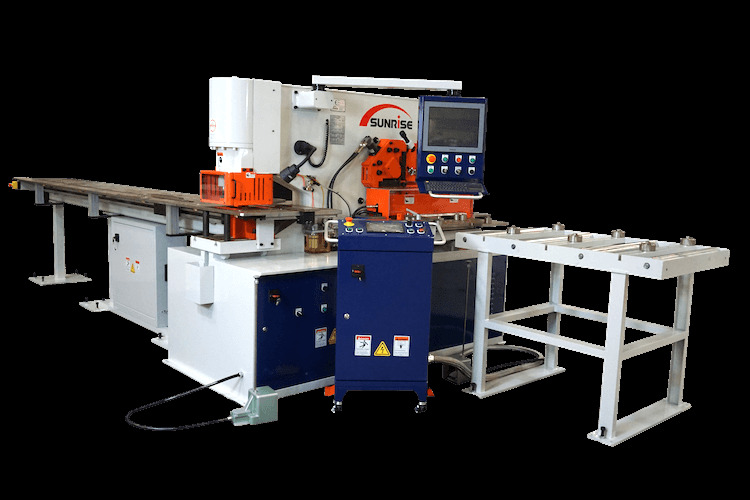 The CNC positioning table is available as a factory-installed option on any dual-cylinder ironworker or punching machine with a 20” or larger throat depth. The operation and programming are CNC controlled using a pendant mounted controller featuring simple programming and a virtually indestructible design. The operator simply positions the material against the CNC-controlled X and Y stops and initiates the punch program. Windows PC Controller featuring 15″ Touch-Screen, WiFi and all flash-memory based Nexcom computer. 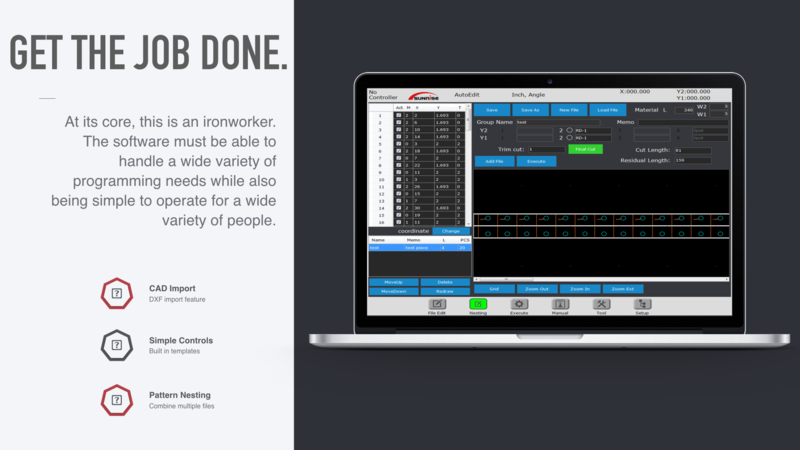 Add a CNC Plate Shear System for the most versatile ironworker on the market! Trilogy Machinery offers 100% factory authorized service and support as well as a full stock of spare parts and accessories in the USA.